Spring 2016 is just around the corner! Here’s a look at what we’ve got in store for you. 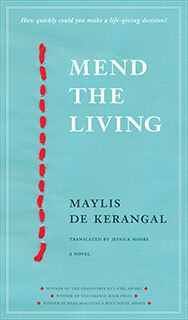 Mend the Living by Maylis de Kerangal, translated by Jessica Moore (the same remarkable team that brought us Birth of a Bridge), is the gripping story, taking place within exactly 24 hours, of a heart transplant and all the lives touched along the way in this metaphysical adventure – the deceased, his family, his friends, doctors, nurses, lab techs, administrators, and, finally, the recipient. Running on Fumes by Christian Guay-Poloquin, translated by Jacob Homel, follows an unnamed mechanic as he drives across the country to reach his dying father, confronting an increasingly post-apocalyptic setting, and his own failing mental state, along the way. 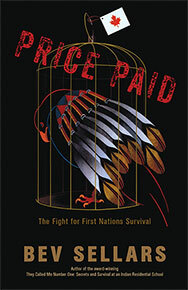 Price Paid: The Fight for First Nations Survival by Bev Sellars (author of the bestseller They Called Me Number One: Secrets and Survival at an Indian Residential School) untangles truth from some of the myths about First Nations; offering glimpses of foods, medicines, and cultural practices that North America’s aboriginal peoples have contributed to the world; and providing a clear and candid take on the history of aboriginal rights in Canada. Injun by Jordan Abel, a natural follow-up to last year’s Un/inhabited, is a long poem composed of found text from western novels of the pulp heyday – namely all instances of the word “injun” – that helps to destabilize the colonial image of the “Indian” in the western genre and the western canon. Human Tissue is a new collection by Weyman Chan that explores the history of our making and socializing a prototype misfit and constructing the conditions of alienation. What’s a monster to do? Pound @ Guantánamo by Clint Burnham, whom we are very pleased to welcome to the Talon list, is a collection of poetry written in wartime – that is, today – whose title implies an analogy between Ezra Pound, imprisoned after WWII, and the inhabitants of the military or CIA prisons at Guantánamo Bay. We the Family by George F. Walker, a play that follows the ripple effect of a culturally diverse wedding. This ain’t your grandma’s multiculturalism. Or maybe it is. 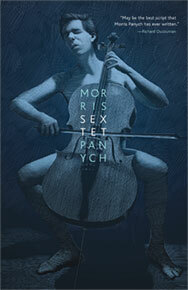 Stay tuned in the coming weeks for our full Spring 2016 catalogue, which will include all frontlist and backlist titles – more than 500 book listings!